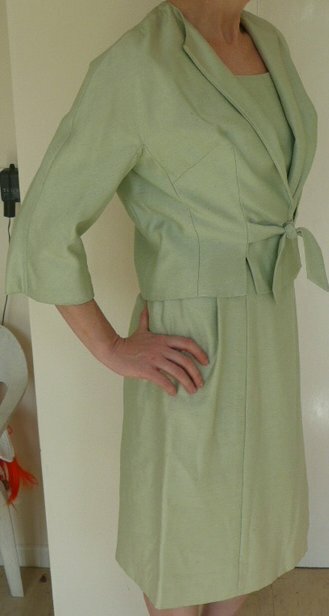 Lovely vintage 1950s dress and jacket by Robert Dorland. Lovely, lovely, lovely! 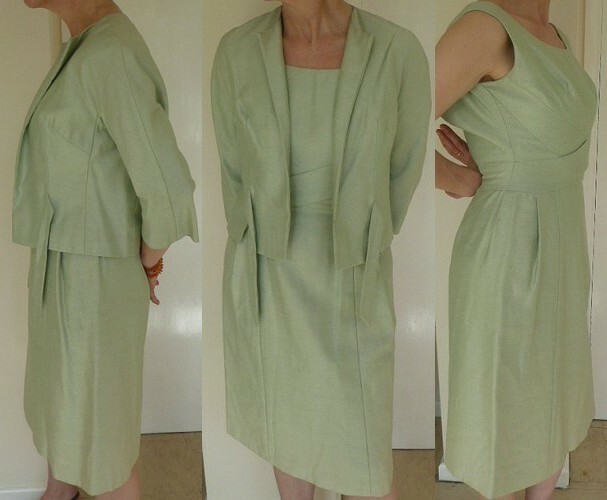 Palest green slub silk dress and jacket - wear together or separately (the jacket looks fab with jeans!) - it'll take you anywhere - I promise! Weddings, parties, work, pubbing or even clubbing, this is exactly what you want! The dress is as sweet as can be: this colour will enhance even the feeblest tan (our model is red-haired, and sun-scared) round necked (slightly ower at the back), with a cross-over front, no sleeves, fitted and sooo beautifully cut! 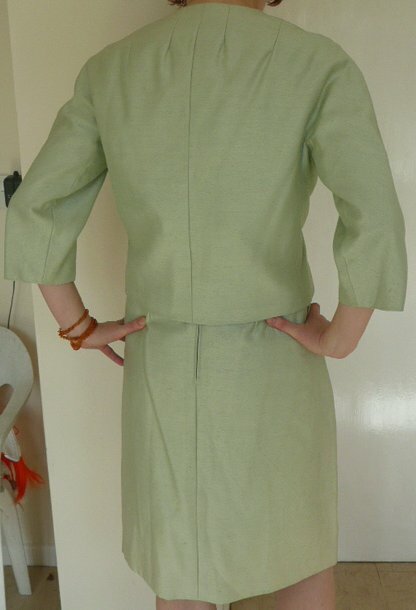 The jacket has oh-so-flattering elbow-length sleeves, is waisted, and ties at the front - looks fab with dresses, skirts or trousers - the two are ultra-smart when worn together! 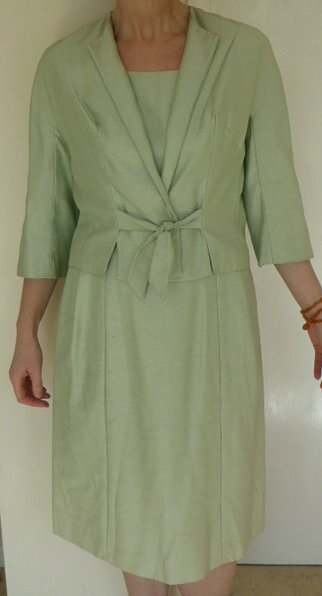 In lovely condition, this is about a modern UK size 8 to 10: approximate measurements of dress are, bust 36 ins/91.5 cms, waist 27 ins/68.5 cms, hips 40 ins/101.5 cms, length from back of neck 34 ½ ins/87.5 cms. 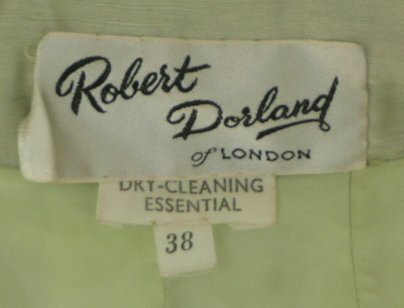 NB: these are the garment measurements - you will need to be at least an inch smaller all around to be comfortable in this little suit!